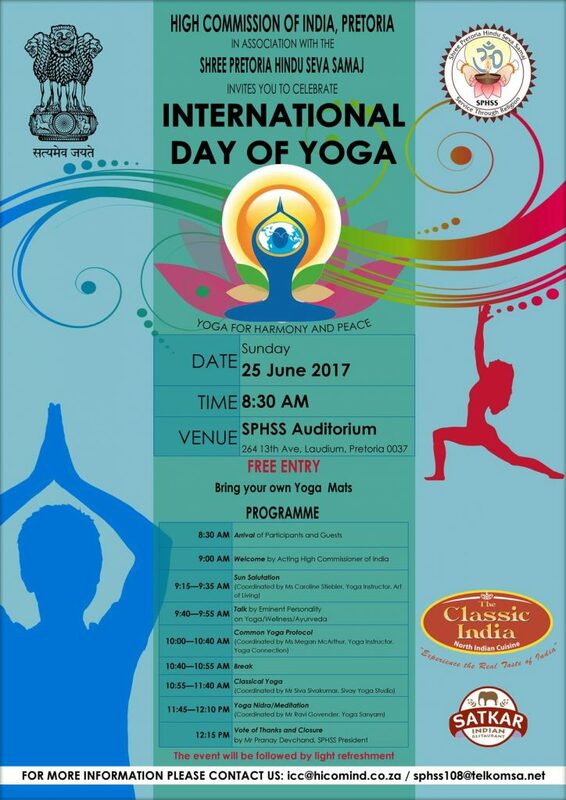 The Indian High Commission along with the Art of Living Foundation, Yoga Oasis, and other members of the Yoga community in Pretoria invite you to a FREE yoga session on Sunday, 25 June 2017 at the SPHSS Auditorium at 264, 13th Street in Laudium, Pretoria from 8:30 am to 12:00pm. Light lunch will be served afterwards. Let’s move together and celebrate the beautiful spirit of yoga!